Are dogs from nonregistered breeders more likely to inflict dog bite injury? 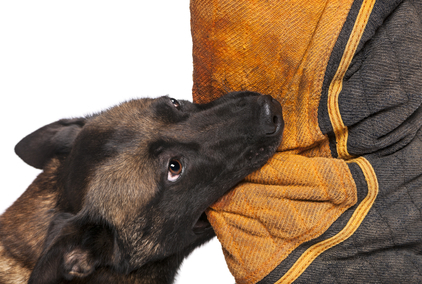 Frequently in dog bite litigation questions arise about the temperament and aggressive nature of the dog involved in an incident, and questions like this tie into issues about foreseeability. That is, should it have been foreseeable that a dog in question would attack a person? Animal behavior evidence that has bearing on the issue of foreseeability concerns the breeding practices of the breeder from which the dog was obtained; that is, did the breeder breed dogs with aggressive tendencies because of poor breeding practices, therefore making it foreseeable that the dog might bite a person? Many factors must be considered by a breeder to ensure that the dogs they produce are trustworthy and non-aggressive to people. 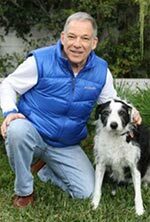 Obviously, genetics plays an extremely important role, but equally important is the social experience the dog receives early in life. A recent study that has bearing on this issue found that puppies from nonregistered breeders in Australia probably lack adequate socialization (J. Korbelik, et. al. Journal of the American Veterinary Medical Association, 2011, 239, 1090-1097). The study compared socialization practices between dog breeders who were registered versus nonregistered dog breeders. Although not specifically stated, it is fair to assume that nonregistered breeders also included so-called “backyard breeders.” This finding is important because canine behavior science predicts that inadequate socialization can imbue aggressive tendencies in dogs. In Australia, breeder registration is made through the Canine Control Council (an organization similar to the American Kennel Club). I suspect that backyard breeders are producing dogs with heightened tendencies for aggression to people. Note that this conclusion undoubtably applies to non-registered or backyard breeders in the United States. currently, however, I know of no study which supports this supposition. Data are lacking. Investigation is needed that compares dog bite frequencies in dogs derived from registered breeders with dogs from unregistered or backyard breeders. During inquiry needs to be made about when the dog was obtained, where the dog lived after it was first obtained, and if the dog was subjected to training after it was brought into the home. Information like this allows conclusions to be drawn about whether the dog posed an increased risk to inflict dog bite injury to a person. Elsewhere on this website, dog bite attorneys can find lines of inquiry for deposition testimony or interrogatories.